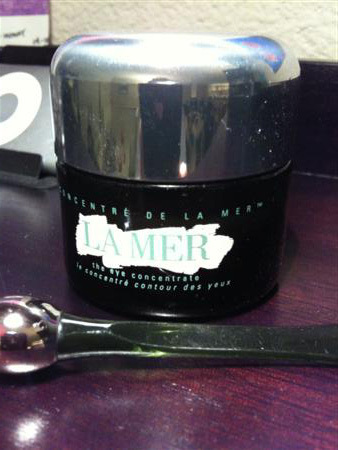 Dean and Ying's Blog - La Mer ... Lamer? Last Sunday, I ran into an old friend. Hadn't seen her in a few years. She said I got old! So when I got home that day I looked in the mirror and realized I hadn't shaven all weekend. Yeah, that must have been it.... Wait, what are these lines under my eyes? Dirt? No, maybe it's the light ... Waitnoooo those are wrinkles! Sonofa...! So tonight I asked Ying to apply some of her fancy face product to my wrinkles. The geek in me reads this product's name as "Lamer" ... What the? Who? Me?